1. 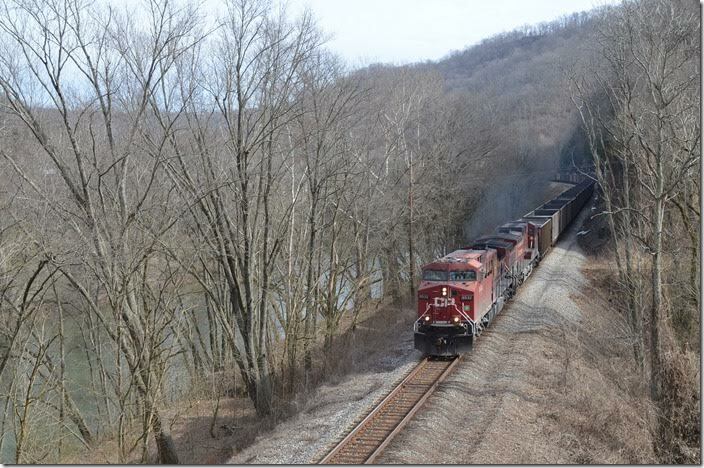 CP 8532-9757 on w/b empty coal train U820 at Broad Bottom KY. 01-25-2015. 2. 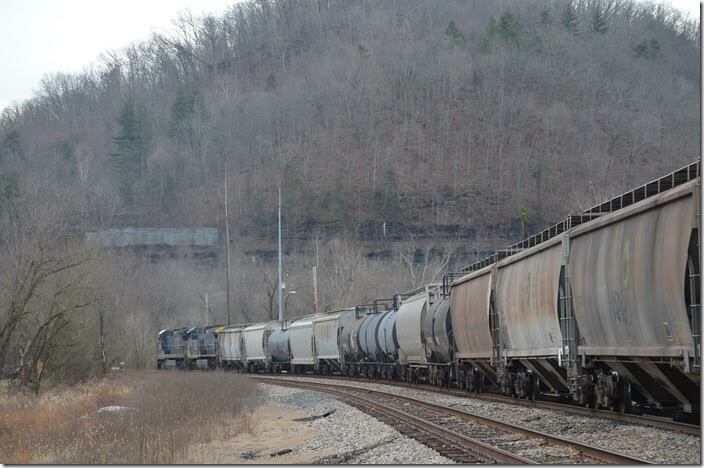 U820 with 62 empties skirts the Levisa Fork of the Big Sandy at Prestonsburg KY. CP 8532-9752. 3. 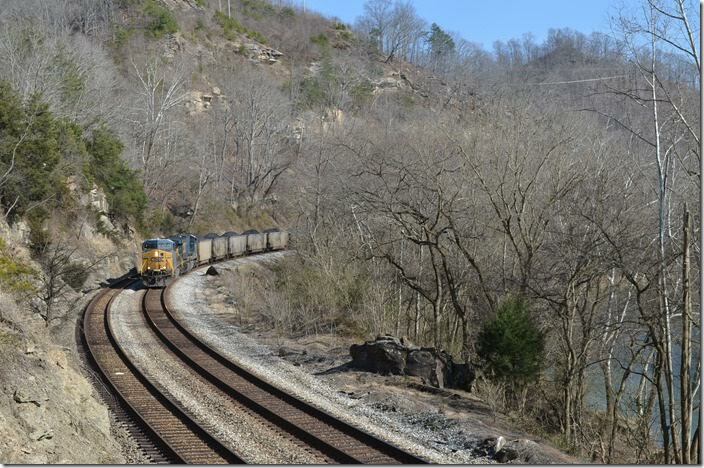 CP 8532-9752 Prestonsburg KY. View 3. 4. 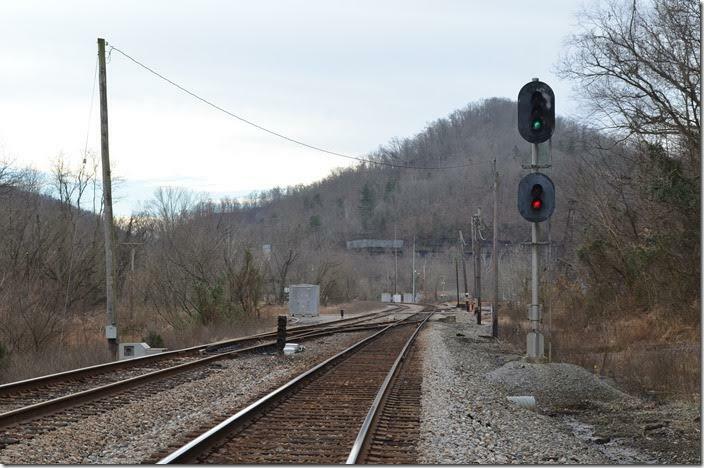 Clear signal for an eastbound at the CSX middle crossover of Prestonsburg passing siding. The Middle Creek SD diverges to the right past the crossover. 01-25-2015. 5. 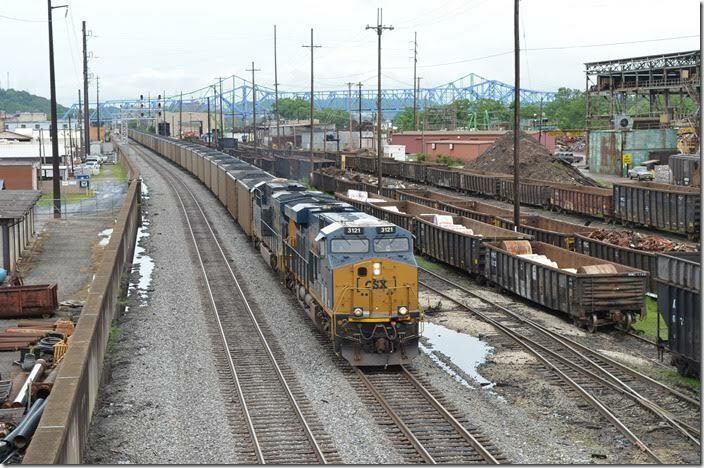 Q698 e/b approaches on the main with CSX 7590-550 and 65 cars. Prestonsburg. 6. 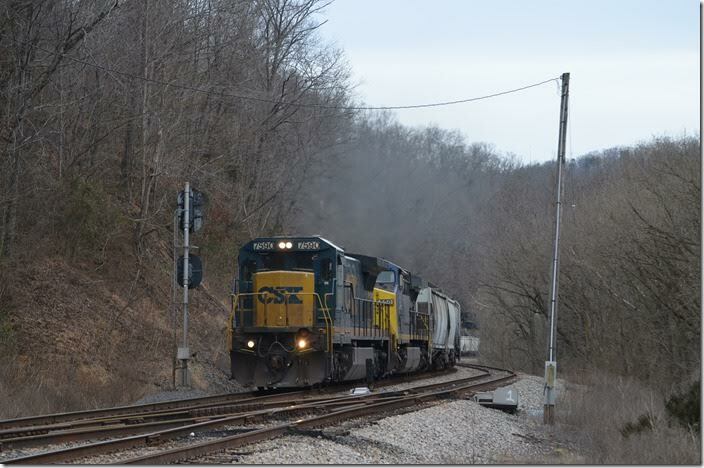 CSX 7590-550 Prestonsburg. View 2. 7. 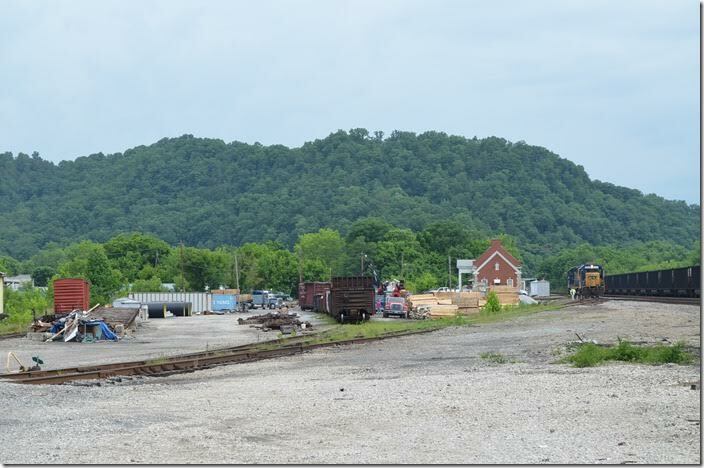 The radio antennas are the location of the old Prestonsburg depot. 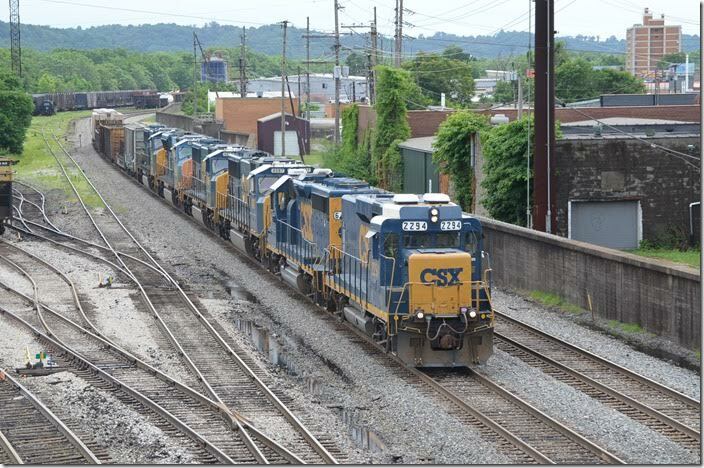 CSX 7590-550. View 3. 8. 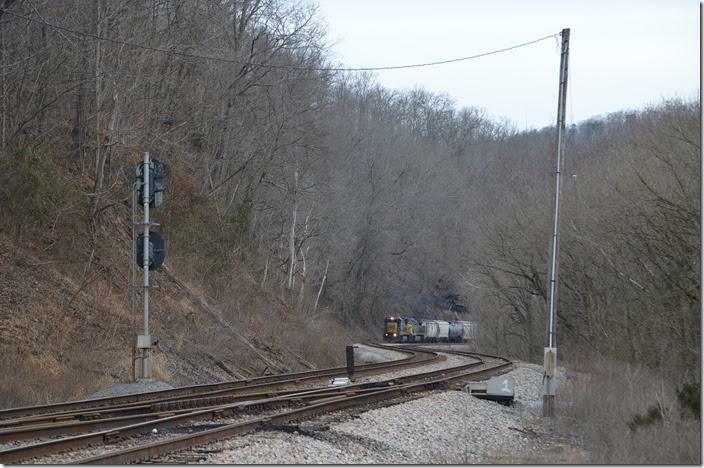 CSX 594-695 have an e/b coal train at Thealka KY, on double track just west of Paintsville. 02-08-2015. 9. 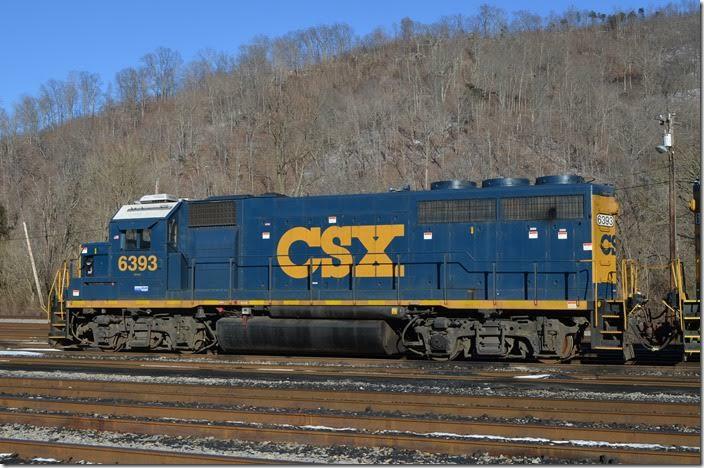 CSX 594-695 Thealka. View 2. 10. 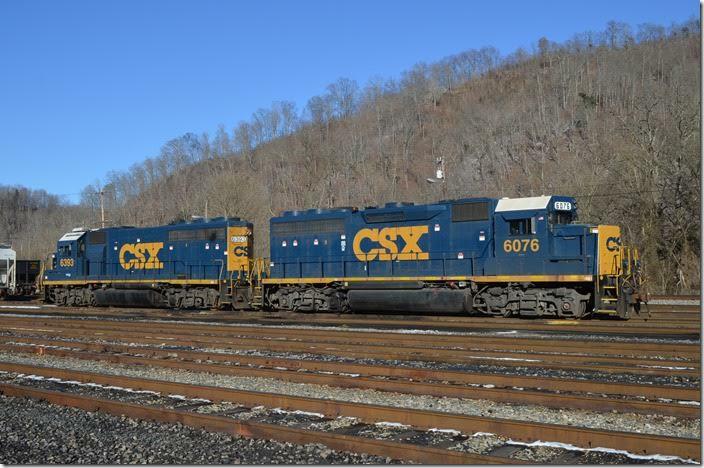 CSX GP40-2 local freight power 6076-6393 at Paintsville on bitterly cold 02-15-2015. 11. The lack of dynamic brakes identifies this GP40-2 an former Richmond, Fredericksburg & Potomac. 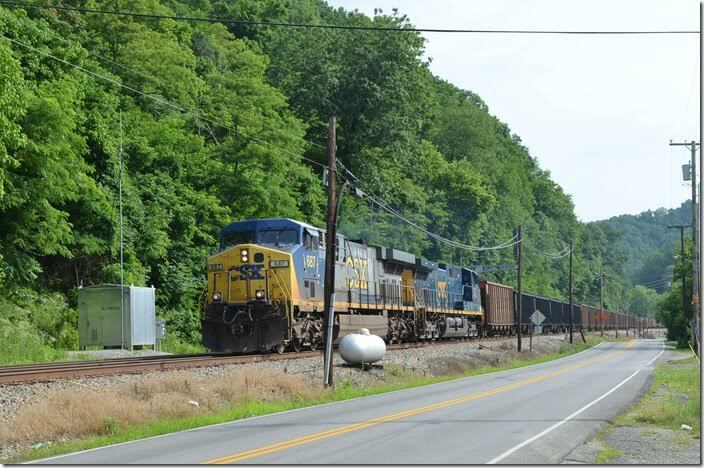 CSX GP40-2 6393 Paintsville. 12. 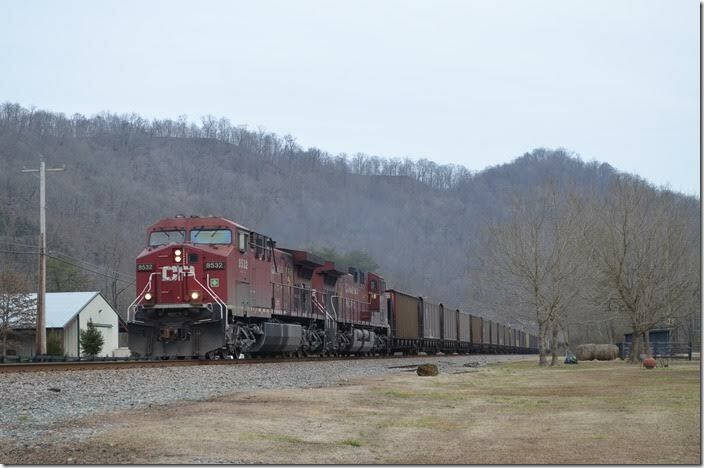 CSX AC60 667 with 167 lead e/b loaded coal train N016-13 with ICXX (Indiantown Cogeneration) at the West End Paintsville Yard. 06-17-2015. 13. 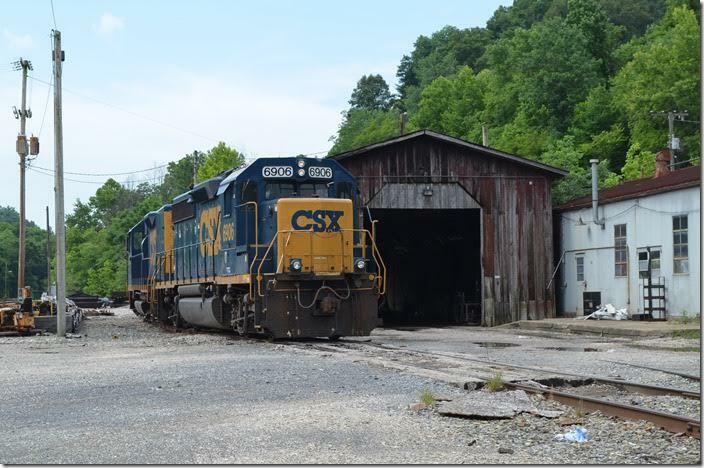 CSX RdSlug 2220-6906 switch in Paintsville Yard. In the background is the former passenger station which is now used by MofW. They occupy the “ID” track which is the former main line. The main line now skirts the east side next to the river. 14. The old steam-era engine house is on right right. 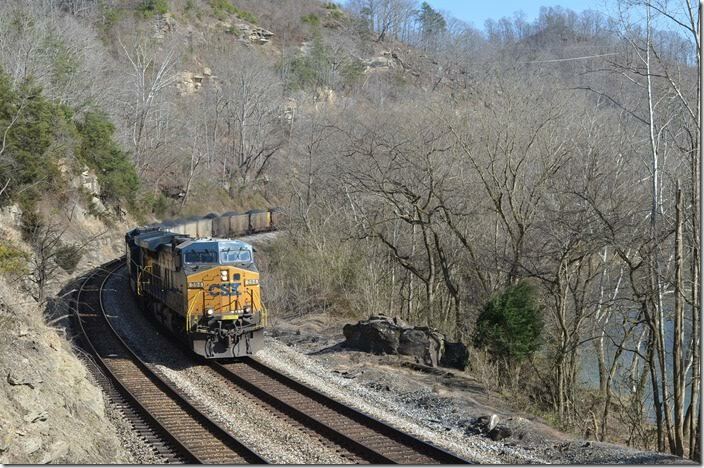 CSX 6906-2220 Paintsville. 15. 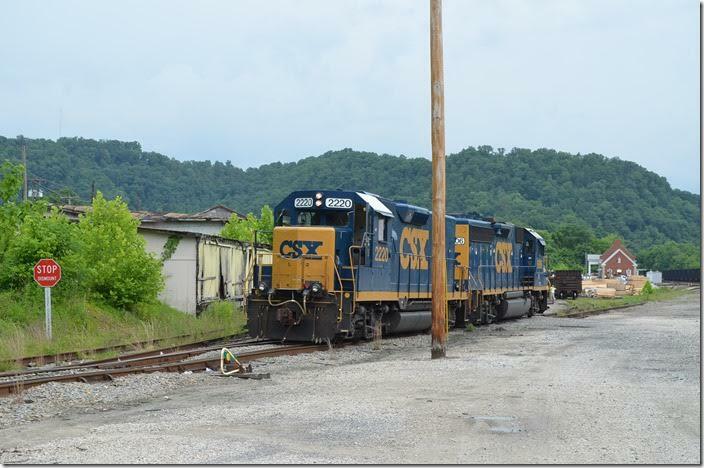 CSX 2220-6906 Paintsville. View 2. 16. 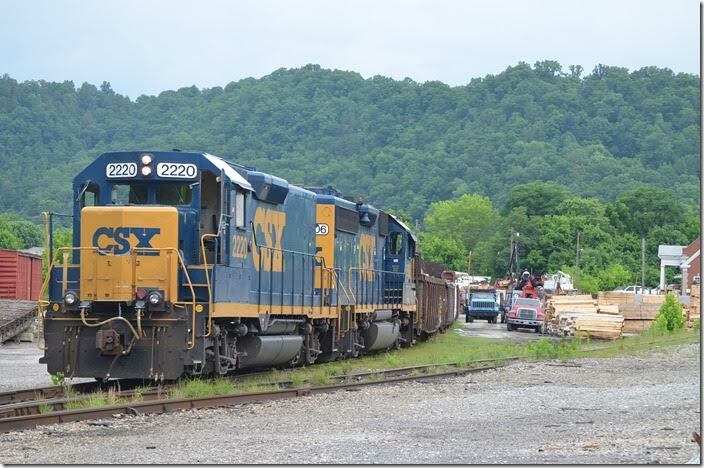 CSX 2220-6906 Paintsville. View 3. 17. Untreated ties are being loaded into low side gons. Perhaps they will go to Goshen VA for treating. 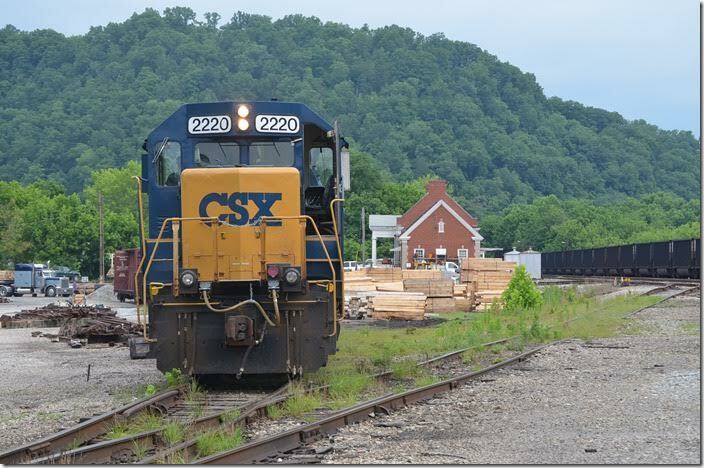 CSX 2220-6906 Paintsville. 18. Shoving back to the yard, Q696 or Q697 will pick up the ties later. 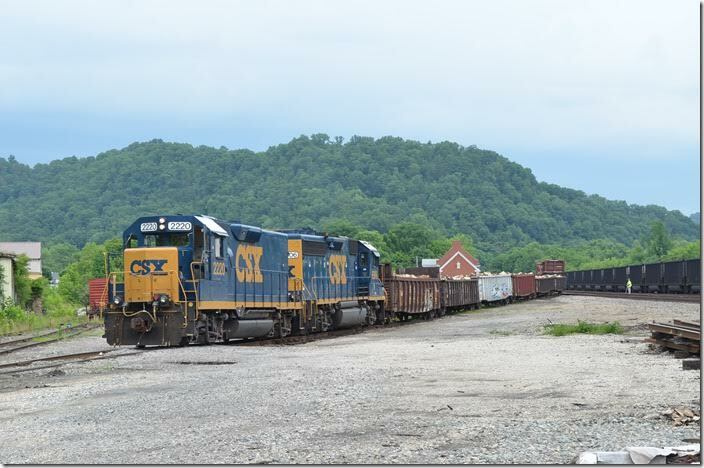 CSX 2220-6906 Paintsville. 19. 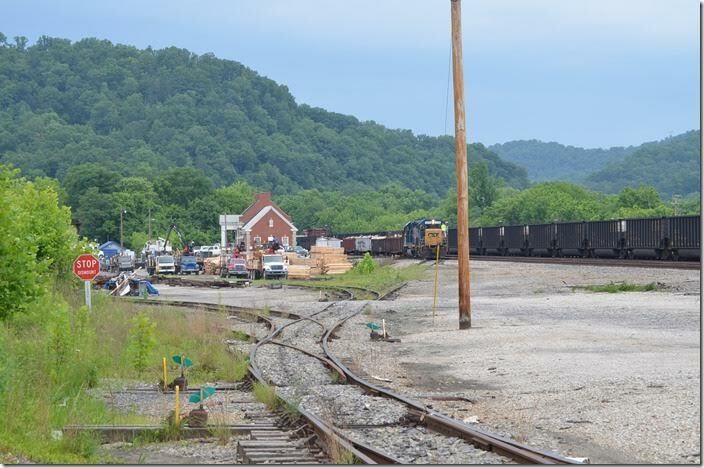 The siding on the left serves VanHoose Lumber Co. CSX 2200-6906 Paintsville. 20. 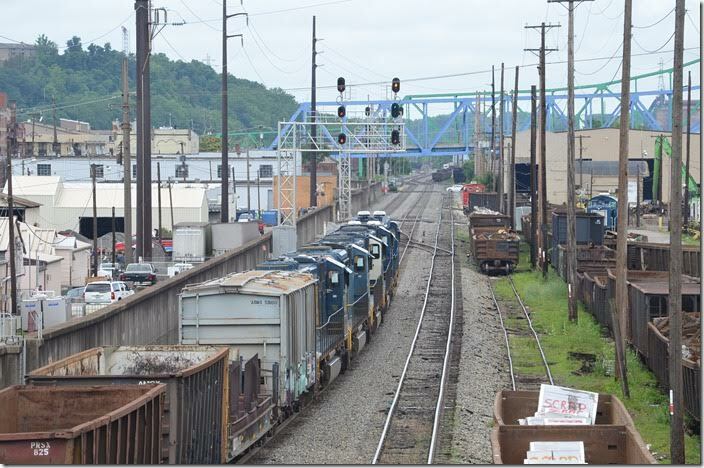 CSX 3121-908 T369-10 behind 3121-908 with SCWX loads passes Mansbach Metal in Ashland. 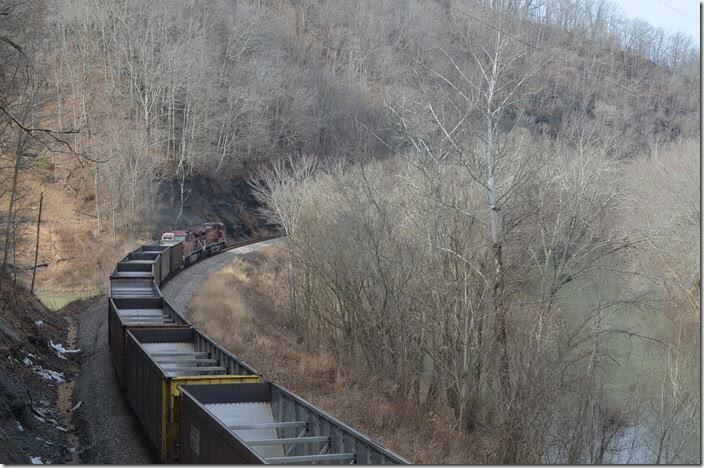 This loaded coal train will go east via Big Sandy. 06-17-2015. 21. 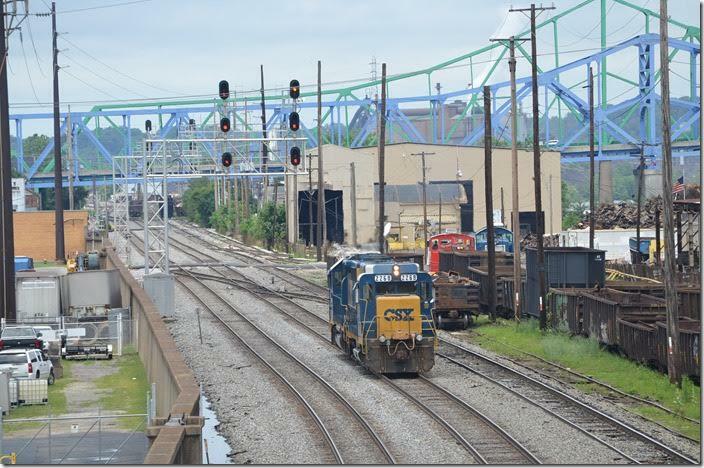 CSX RdSlug 2294-6460 on H702 has four SD70MACs from the Huntington Locomotive Shop. Ashland. 22. A Mansbach (Progress Rail) SW-1500 shoves cars of scrap down the siding on the right. The signal is “approach medium”. CSX 2294-6460 Ashland. 23. 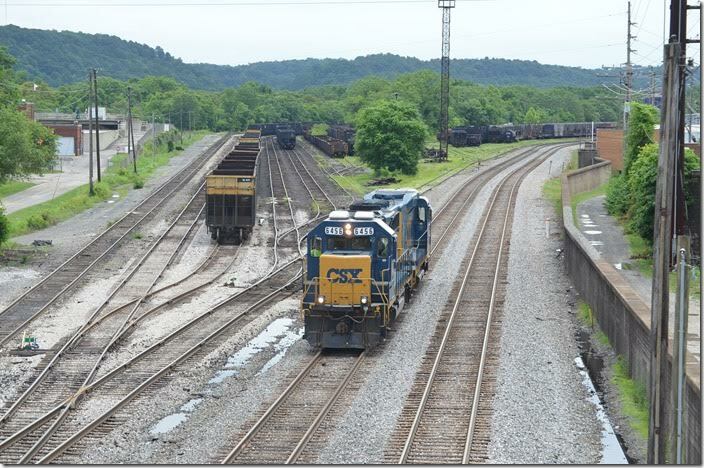 CSX Slug set 6456-2268 on H779-17 comes w/b past old Ashland Yard. 24. H779 looks at an approach signal. CSX 6456-2268 Ashland. 25. 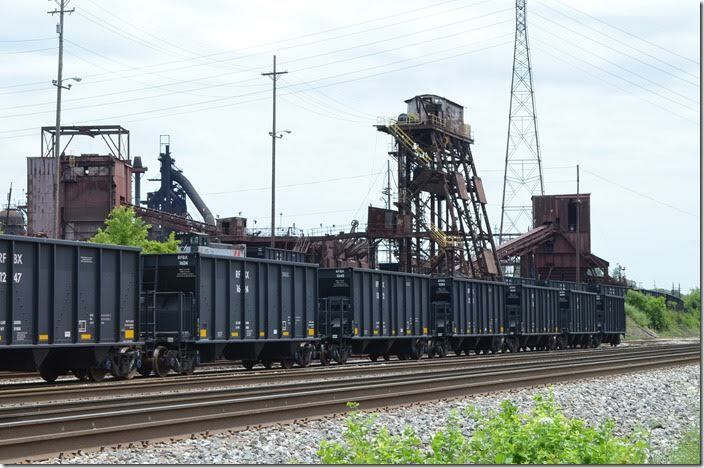 Practically new RFBX (AK Iron Resources LLC) hoppers in the yard of Ashland Works. These were mostly built 11-2014. Some are at the rotary car dumper. The load limit on these cars is 234,100 lbs. Ashland.